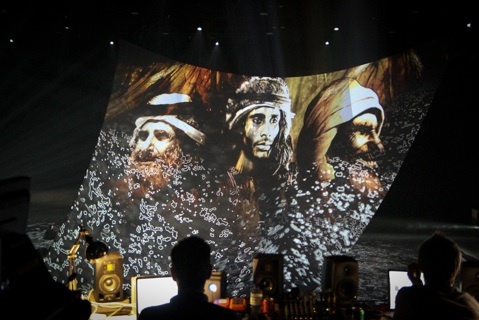 Once again set and show designers Studio Fish and production director Nick Levitt came to us to assist with an event for the UAE managed by the legendary ex-Cirque du Soleil director; Franco Dragone. 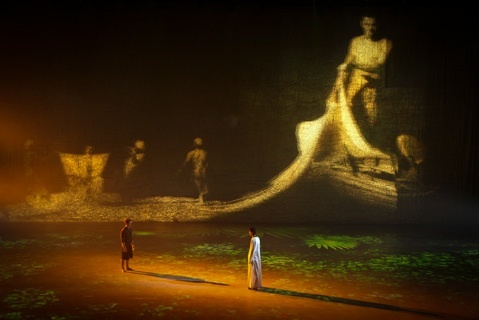 The event was for the royal family of Abu Dhabi and managed through their cultural foundation. 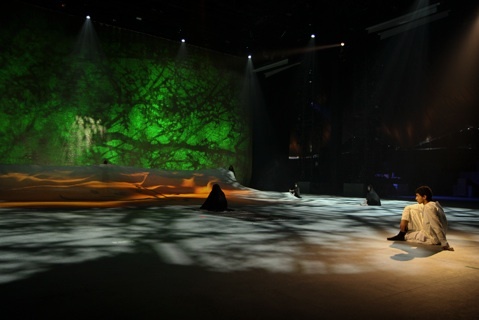 A giant circus-style tent was erected to contain the 30m square central performance area which was entirely covered with video projection, dynamically mapped in 3d by our friends VYV and their clever photon servers. 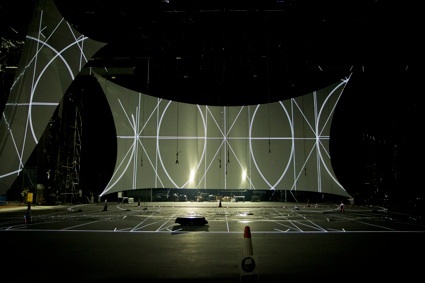 8 giant roller blinds could track, rotate and roll to transform the space on demand. The automation data was fed back to photon to enable accurate tracking. 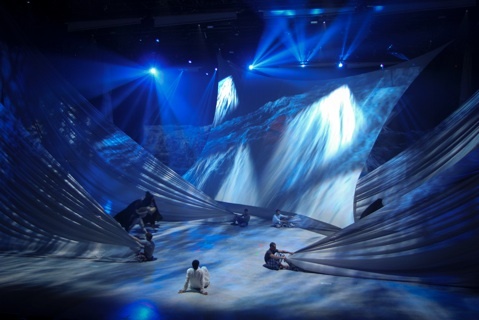 9 x 20 k Panasonic projectors covered a rear projection cyclorama, with a further 18 x 20 k Panasonics covering the floor, 16 front projection from FOH and a number of one-off specials took the total number of projectors to 46. 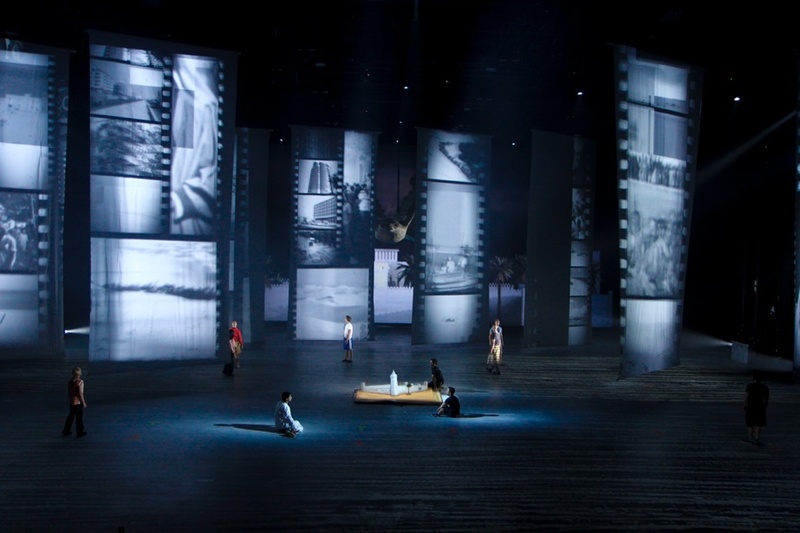 Lucky Frog designed the projection, playback and infrastructure and managed the whole video delivery side of the project for both the production process and the seven weeks on-site for rehearsals and shows.